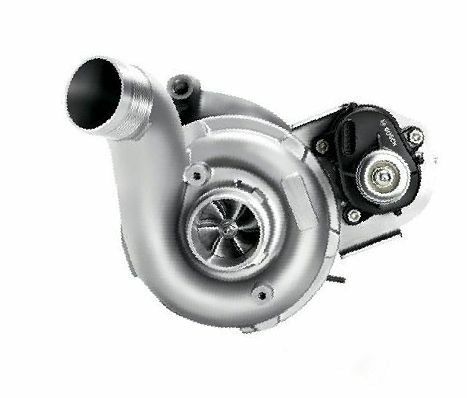 The turbocharger is not too difficult device. It's just an air pump, which is driven by exhaust system of the vehicle. The principle of operation of this pump is also not difficult: it pumps into the engine large airflow. The engine management system prepares the correct proportion of fuel mixture, based on the increased volume of incoming air, and this mixture enters the engine, giving it more power in comparison with the standard mode of operation. High power output at a fixed mass. Takes up less space than the equivalent power of an engine. The torque of this engine can be better adapted to the required conditions of the vehicle. Thin air at high altitudes does not affect the turbocharged engine. Engine with turbo more efficiently burn fuel. Its efficiency is higher and the fuel consumption is lower. Improved combustion is the best environmentally friendly car. More stable operation and less exhaust noise. 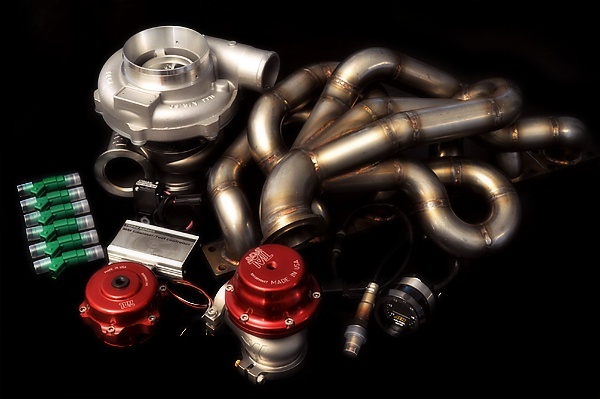 In turbocharged engines is too a lot of advantages, because the installation of the turbocharger is desirable tuning of all the professionals. But not all cars can install a turbine. Some engines are designed to work only with the volume of incoming air that gets into them under the action of atmospheric pressure. But, as a rule, such motors are not many. Raising the pressure of the fuel-air mixture in the cylinders of the engine by means of supercharging turbine, it is possible to raise the engine power by 30 – 60%. Of course, power does not grow due to the increased cylinder pressure, but at the expense of more useful work, which makes the air-fuel mixture of the high volume trapped in the cylinders of the engine through the turbine. I.e. in this situation in the engine burn more gasoline, increasing its capacity. But this does not mean that you can configure the engine management system to feed it more fuel if the car has no turbocharger. Chip tuning the engine without the turbine installation is possible, but it can be used to raise the power to 3 - 8% but not 30%. To raise the engine power, it is necessary to increase the amount of air and amount of fuel. If you raise the percentage of fuel in the mixture more than normal, just for gasoline will not have enough oxygen, and it will not burn completely. As a result, increase fuel consumption, some of which will just fly away into the pipe. The basis of any of the turbocharger are the turbine and centrifugal air pump. These two elements have a common axis, i.e. work in a tight connection. They rotate in the same direction with great speed (100.000 rpm!). Thus, there is conversion of energy of exhaust gases flow in a torque which drives the compressor that pumps air into the engine. The turbocharger can be installed on any internal combustion engine regardless of the type of fuel used, or the type of cooling. Engine size also plays no role. The only condition is achieving the correct fuel-air mixture, after increasing the airflow. As mentioned earlier, not all car engines allow this. Today almost all diesel engines of a large volume, which are used in industry, are equipped with turbochargers. The same is true for diesel cars. However, the installation of two turbines on a car is not standard, but on the industrial engines two turbochargers on one engine has long been a usual thing. Car manufacturers have increasingly reduced the engine capacity to compensate for the power reduction of the turbine installation. This is especially true for Japanese cars. If the car has no turbine, and there is a desire to install it is to first repair the engine itself, eliminating all its problems. If you do not repair the engine and install the turbine, all the problems can be strengthened, which will ultimately lead to engine damage. * To work properly you will need a software upgrade of the factory engine control unit. **The photo shows only a small part included in the kit components. For a complete solution you should add another $1600 for all the work and $600 for the configuration of the engine control unit. For engines M52/M54 is also required to install the M50 intake manifold and ports of the inlet Windows of the cylinder head - $300. Ie the turbo will require a strong alteration your BMW 3 series, because 2-fold increase in capacity will entail the replacement clutch, brakes, gearbox, etc. The result with the right approach will exceed all your expectations. That's just good is not cheap. And this "simple" to mean a project can turn into unfinished or just burn your money in a moment when the engine stalls or when setting up for the first race. It is worth noting that the price of the kit is not strongly dependent on the gain of power. Because it is not profitable to put a turbo on low cars. Do not buy cheap Chinese turbo kits. Have pity on yourself, your time, and wasted money.